911 Restoration Denver is the company that you can count on to assist you during water emergencies like flooding, sewage backups, or plumbing leaks. Homeowners can expect only the highest quality of repair and restoration services from our water damage Centennial specialists. Our team is available 24/7 to handle all kinds of water caused issues, so you can count on us to provide you with on the day service exactly when you need it. We have over three decades worth of experience in helping homeowners deal with flooding, roof leaks, sewage backups, plumbing leaks, mold growth, and all other problems caused by water damage. So your home can get the services it needs, you can expect 911 Restoration to be at your property within 45 minutes of your call. Expect a free assessment from our specialist once they arrive. Once the problem has been detected you can wave goodbye to that leak and say hello to a fresh start through our quality restorations. We will make use of state-of-the-art drying equipment and techniques to extract all water and moisture from the affected area. If your home has been damaged by heavy downpour or strong wind, we can provide disaster damage restoration services. 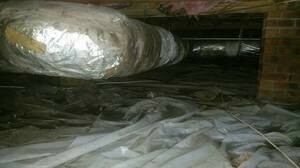 If we detect the presence of mold, we can provide remediation that will get rid of mold and any spores within the air. We can provide odor removal for any areas of your home affected by flooding or sewage backups. During our work, we can provide storage services that can keep any of your undamaged belongings safe from harm. Once the problem has been patched up, our IICRC certified technicians can provide the quality restorations that will give your home a fresh start! 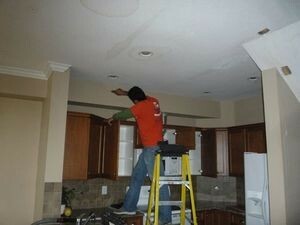 Water damage is a major concern that needs to be dealt with in order to prevent further harm to your home. Water damage can be caused by different issues like leaks, flooding, storms, or sewage backups. 911 Restoration knows that you need immediate water damage restorations. Our well-trained and well-equipped professionals can patch up all water issues you may have at home. 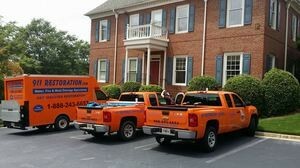 We work with only your absolute satisfaction in mind so you can count us to take care of that roof leak, flooding, or toilet overflow with the utmost quality. Another service that we can provide is helping you file your insurance claim. We will be working with your insurance company so we can provide you with the most affordable price to all the services you need. 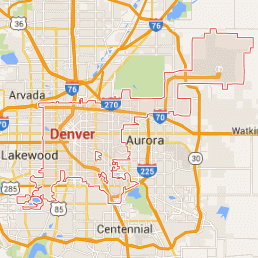 Where there’s water invasions, count on our water damage Centennial team with 911 Restoration Denver to provide you with a fresh start with our quality repairs and restorations by giving us a call today!